Today I’m showing my leftover love to Bubble and Squeak; known in some parts as the Housewife’s Monday Lunch. Traditionally if you made a Sunday Roast and you had any leftovers you’d pop the meat into a pie or a bake on Monday. In fact it’s pretty similar to how I work a roast. Sometimes I will take the meat and pop it into the freezer for another day but the main idea is that I use every last bit that there is for taking. There’s rarely enough spuds and vegetables left for a full meal for the family the following day though. Between scraps of mashed potato, some leftover bits of vegetable, the temptation may be to throw them into the bin and forget about them. Instead this week, consider popping the leftover bits of vegetables onto a plate and covering them until the following day. Now I’m not being sexist, for fear you think I am, it’s just that years ago the men in the family never got to taste this delectable treat because they were in work! 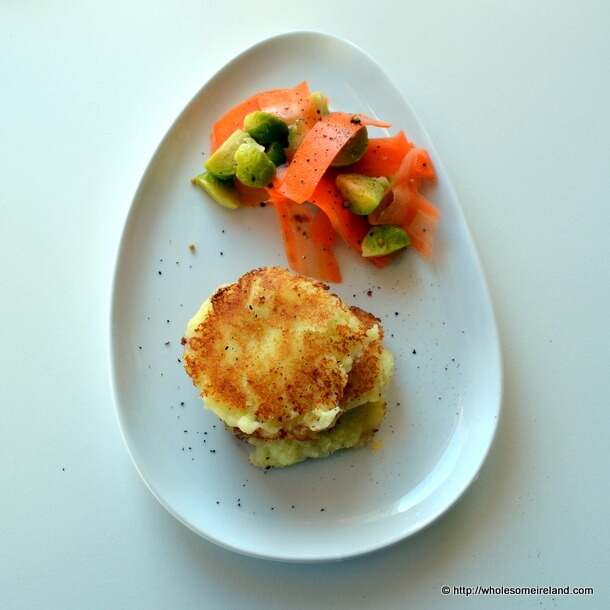 While the patties of mashed potato are lightly fried in a tiny bit of oil, so that the edges caramelise, I tossed the vegetables in a little dressing of honey mustard and lemon juice. Once the potato is golden brown, remove the patties from the pan and drain on some kitchen paper. Fry an egg until the yolk is runny and the white is cooked through. Pile all the ingredients together and eat with lashings of freshly cracked pepper. 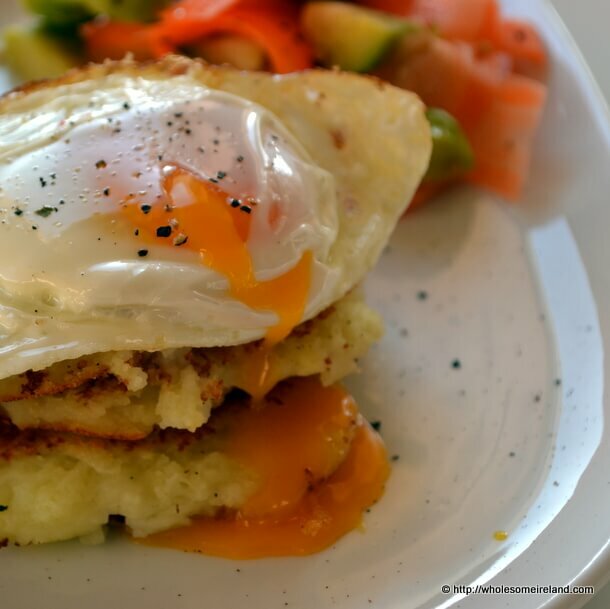 Bubble and Squeak, it may the Housewife’s Monday Lunch, but it’s a lovely sneaky treat when the kids are in school. Or maybe just while you’re holding them at arm’s length and give them fruit instead! You can never go wrong with potato and egg, can you? Nope. When all else fails you’ll eat like a king!